You must try lobster cooked fresh at the source some day. There’s nothing like it! 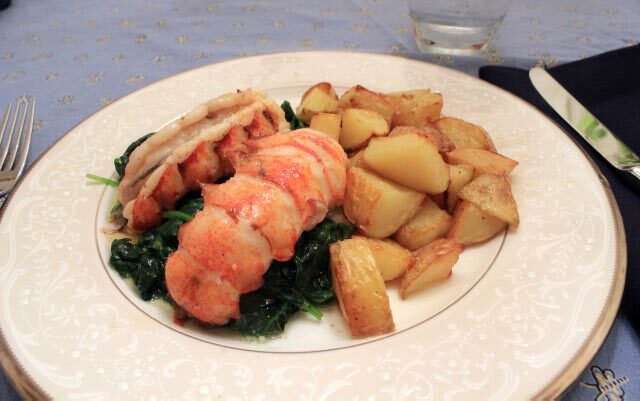 Braising lobster in butter makes a great celebratory meal though. Glad you thought so too. I loved the couscous too. It’s just the kind of thing i like to enjoy freshly made and then as leftover. am happy that I tried it, it was an interesting recipe all the same. 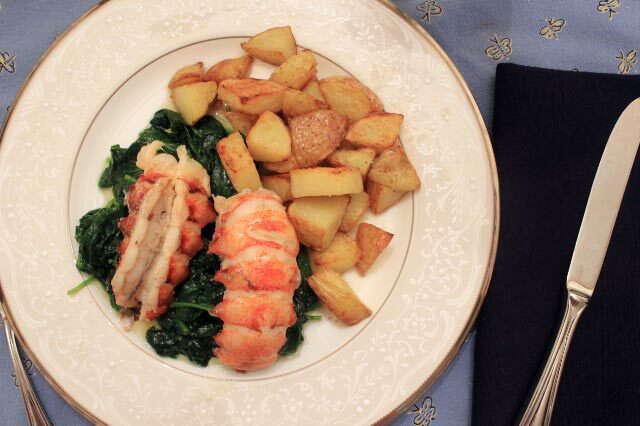 I think it is funny how many of us paired our lobster with potatoes. I am going to have to look up that duck fat and potato recipe. 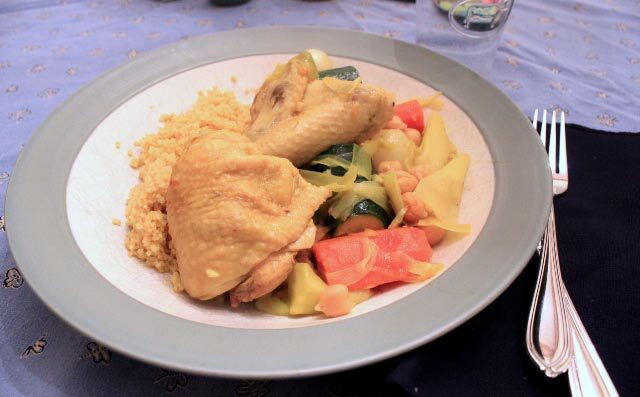 The chicken couscous dish did make a lot and we had two nights also. Have a great week. As soon as I comment on this Post, I am going right back to your last year’s Post. I don’t remember being upset because you didn’t like Valentine’s Day. I really, really liked the chicken couscous. I halved the recipe and it still made 3 meals. The lobster infused with vanilla was delicious but I probably won’t make it again. The lemon steamed-spinach was delicious. Duck fat potatoes. Hmmmm. Sounds pretty tasty. Yes, you have to try fresh lobster on the coast.I am not sure if it is the short time from catch to eat or the fresh air, but it always seems to taste better there.